Home > February 2018 > Take It Personally! I have trouble with my elevator speech. You know, that pitch where you tell someone else what you do during the time it takes for an elevator to reach your floor after you get on. Somewhere in my explanation I’ll inevitably mention “hazardous materials,” which is often just enough information for the recipient of my speech to think they know what I do. Sometimes, I get a response such as “Yeah, it’s really important to keep track of those hazardous wastes”. Well, yeah, but no. Important hazardous waste (HazWaste) regulations are put out by the U.S. Environmental Protection Agency (EPA) but they differ from those issued by the U.S. Dept of Transportation (DOT) or their international equivalents, which is what I specialize in. However, at least everyone knows what kind of stuff the transport regulations deal with, right? Well, no. 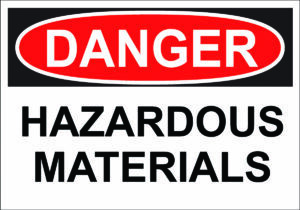 Everyone knows about most materials the Dangerous Goods regulations cover, but few know that they’re HazMat. There are several reasons for this. To start with, air travelers get the wrong message from our modern aviation systems. Upon checking in, almost every traveler clicks a button on a check-in screen (maybe a cell phone, or maybe at the airport) declaring that they have no, none, zip, zero HazMat with them or in their luggage. They then go through security where their carry-on stuff is peered at via X-ray, and their checked luggage occasionally has a rectangular notice that it was manually inspected, and neither type of inspection results in them being told that they lied about not having any HazMat. Because, make no mistake, you always have HazMat with you. Whether worn on your wrist, or in your cell phone, or in your key fob, or powering any of a whole range of other electronics, you’ve got batteries with you, and all batteries are HazMat (Dangerous Goods). Not to mention aerosols that are often in checked luggage, as well as the perfumes, colognes, nail polish or nail polish remover that are all similar HazMat. Because the Transportation Security Administration (TSA—who does the peering, X-raying and inspecting) isn’t interested in enforcing HazMat regulations, airline passengers inadvertently and mistakenly learn that many Hazardous Materials aren’t hazardous. Besides, who would eat, inhale or rub HazMat into or onto their bodies? Well, anyone who drinks a bit of cough syrup and its ethanol ingredient, or puffs an asthma inhaler, or uses an alcohol-based hand sanitizer, would ingest, inhale or smear HazMat. “Wait a moment,” you may be thinking, “I can get all those things at my grocery store, so they can’t be HazMat.” The pharmacist or cashier doesn’t give you shipping papers. The policeman issuing you a warning for that burned-out brake light doesn’t give you a further ticket for not HazMat placarding your car, so how can those spray paints, batteries, medicine and personal care products be HazMat? Not to mention the matches, drain cleaners, liquid paints, vanilla extracts and insecticides? Well, the answer is as simple as two words: “in commerce”. Last time I took (rather than teaching) a ground HazMat transport course, I sat next to two people from Wal-Mart. These individuals reminded me that from the manufacturer to Wal-Mart (and more importantly to them) from the Wal-Mart distribution centers to Wal-Mart stores, HazMat regulations apply because those shipments are “in commerce.” Once sold to a personal customer and transported in a personal vehicle, those same hazardous materials are no longer regulated. They’re regulated again if the person pays an airline to fly them somewhere, because that’s a “commercial” flight (although there are some regulatory breaks, such as for most personal care items in luggage). They’re still regulated, however, if a business buys them, regardless of whether paid for by “petty cash,” a company credit card or a company charge account. For example, a drain cleaner sold to you to use at home wouldn’t be covered by HazMat regulations. A drain cleaner sold to you for use at work, however, would be considered HazMat and covered by the regulations, even if you drove it to work in your personal vehicle. Gene Sanders is the owner of W.E. Train Consulting, and a specialist in regulations regarding the transportation of Dangerous Goods (sometimes called hazardous materials in the U.S.). Sanders has degrees in Chemistry and Biochemistry, and has several professional certifications including; CDGT (Certified Dangerous Goods Trainer), CDGP (Certified Dangerous Goods Professional), CET (Certified Environmental, Safety & Health Trainer) and DGSA (Dangerous Goods Safety Advisor). 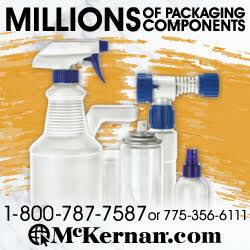 Sanders is currently the Chairman of the Board of Directors of the Dangerous Goods Trainers Association (DGTA). If you need “five minutes of free advice” contact Sanders at [email protected] or +1 (813) 855-3855.